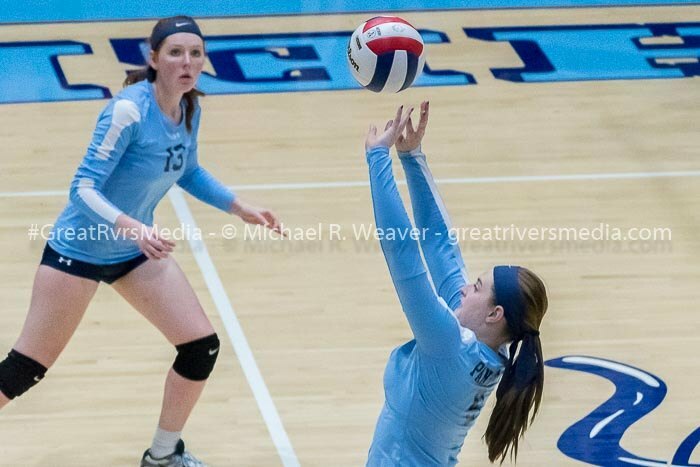 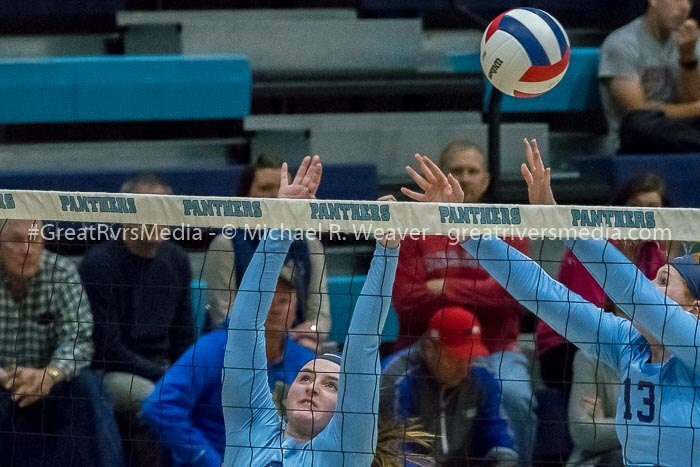 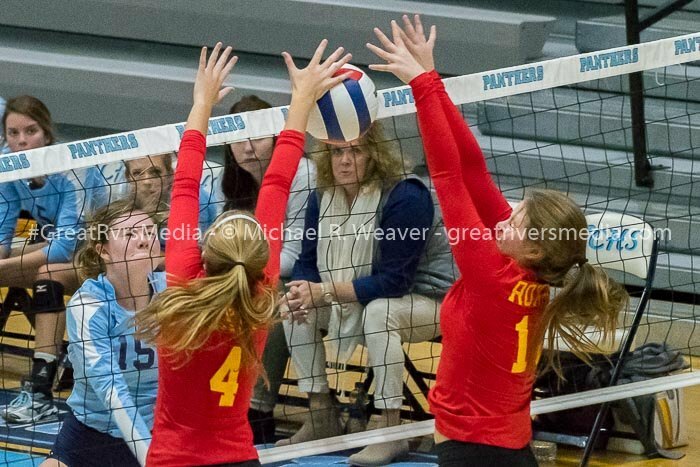 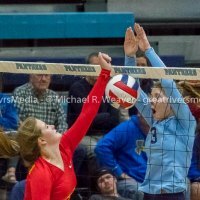 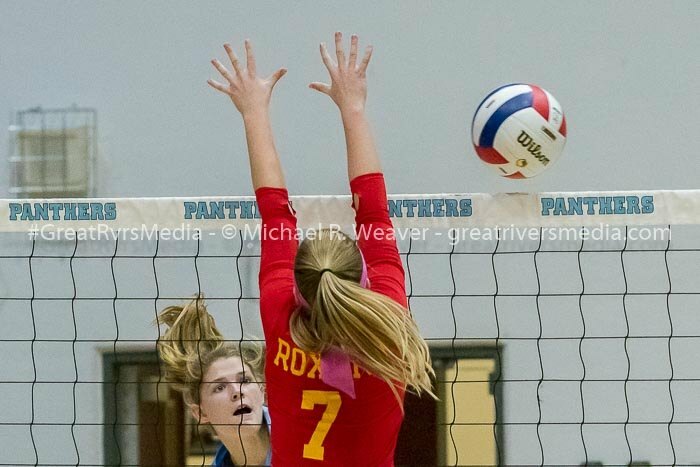 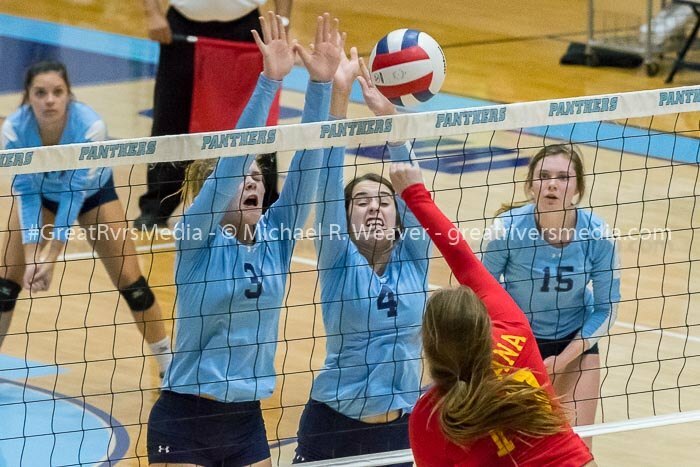 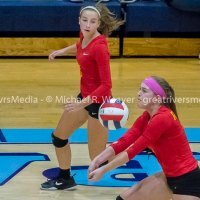 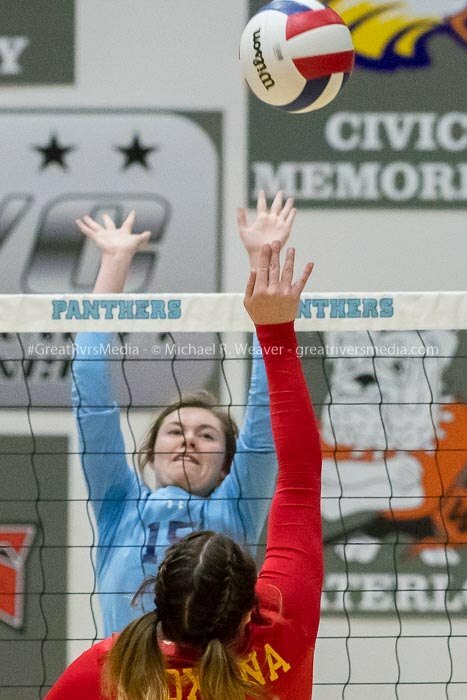 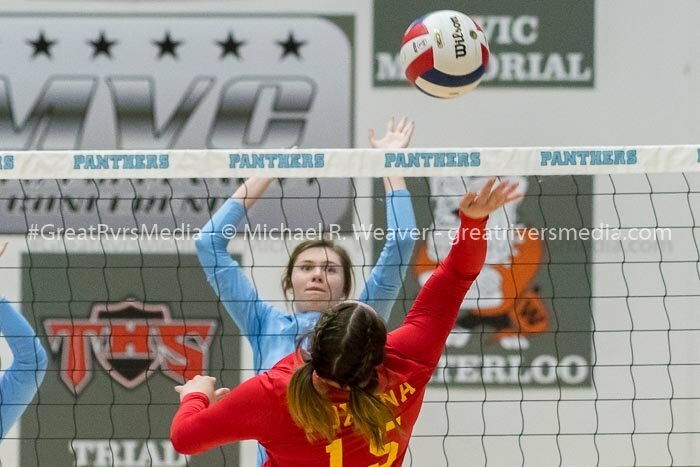 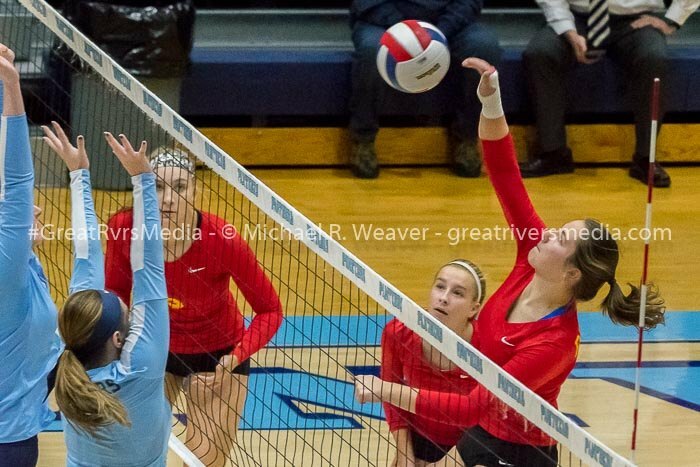 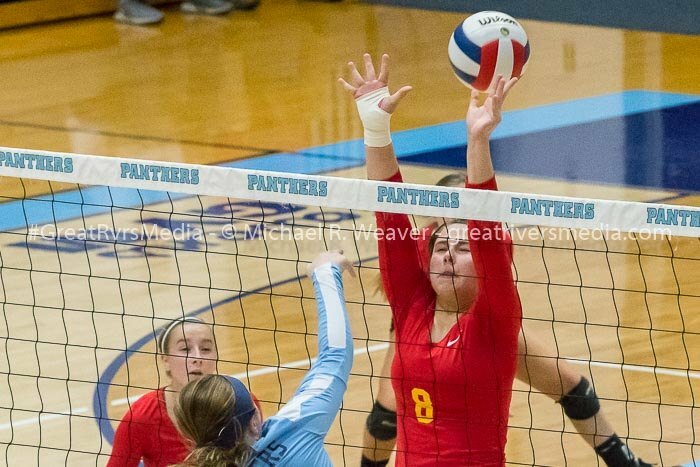 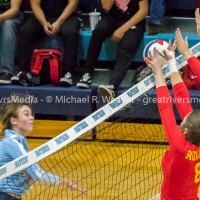 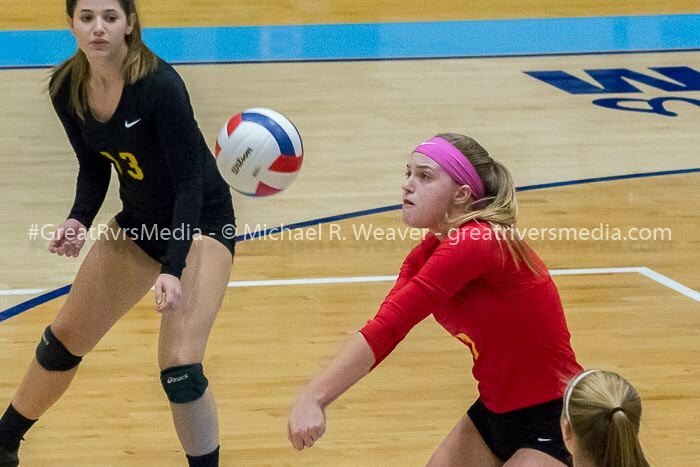 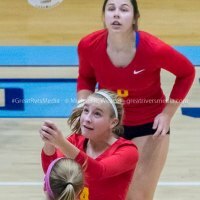 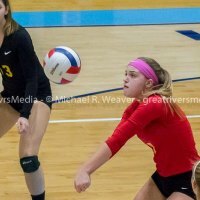 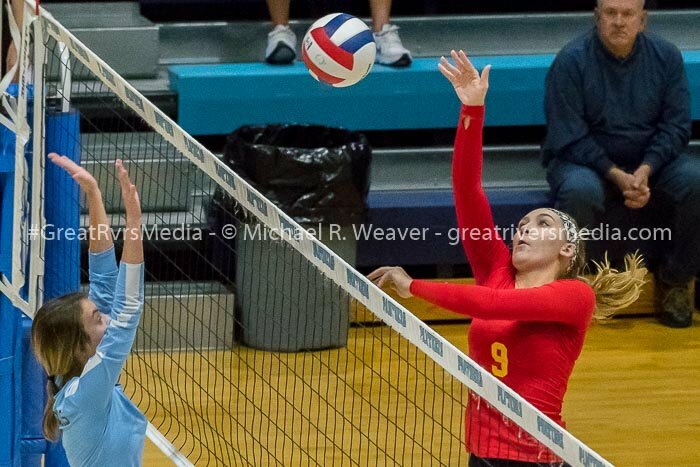 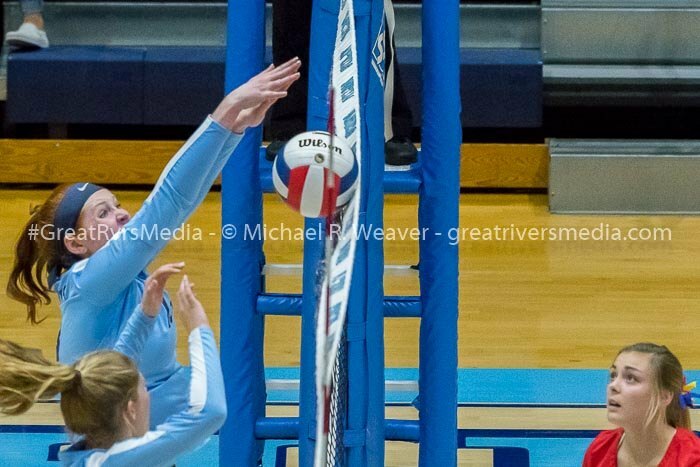 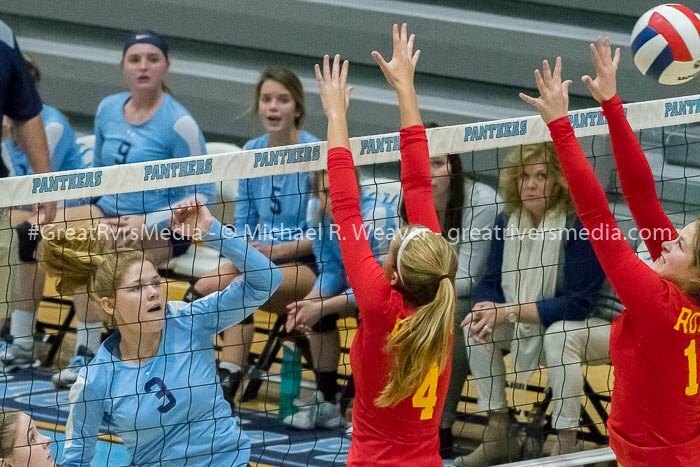 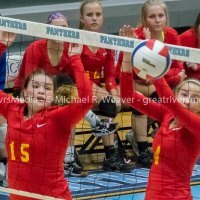 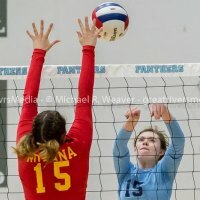 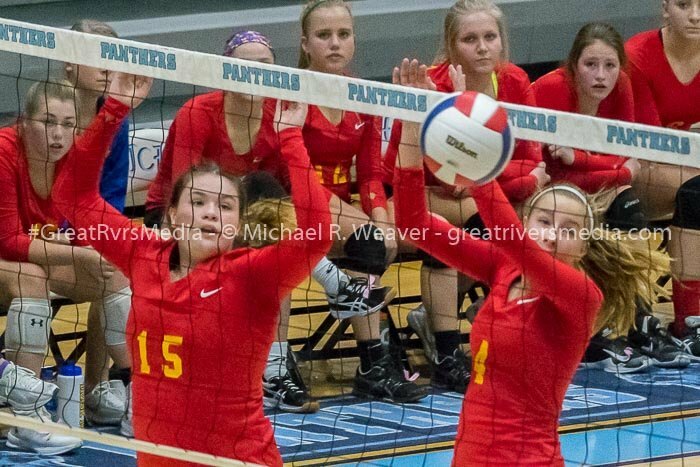 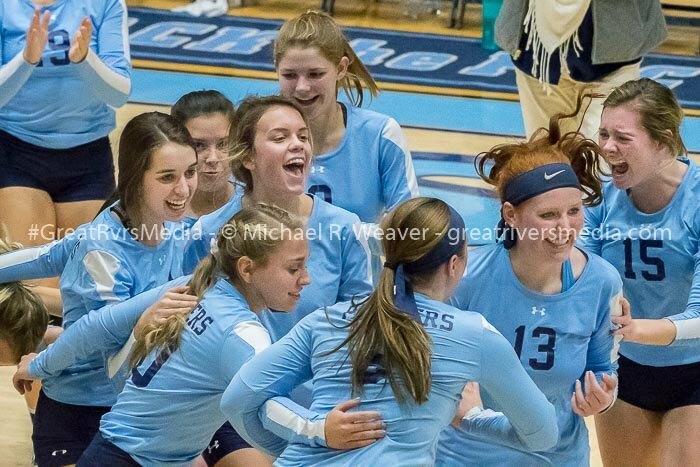 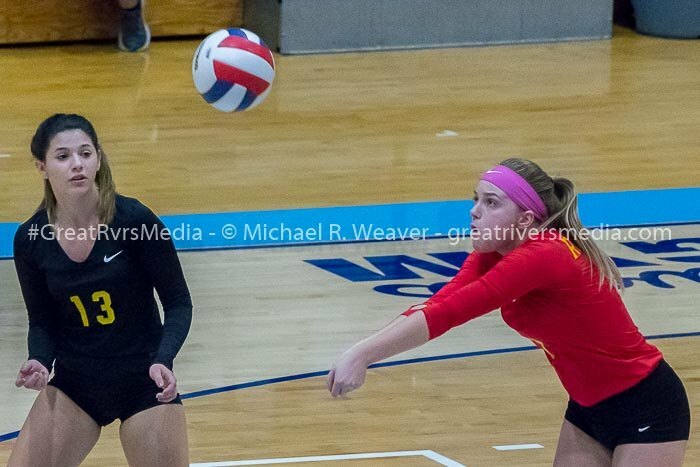 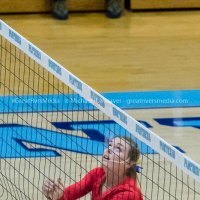 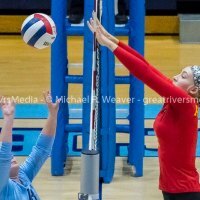 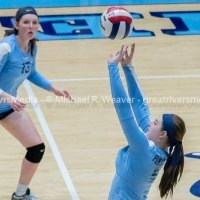 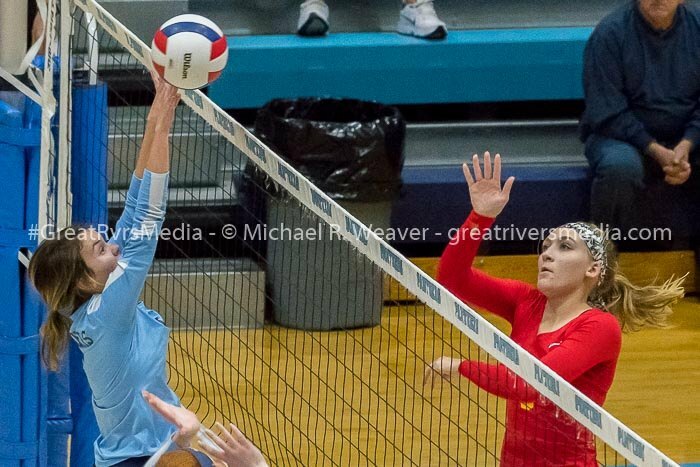 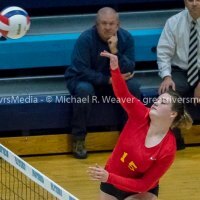 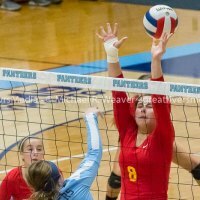 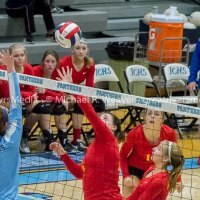 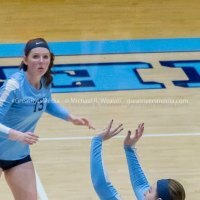 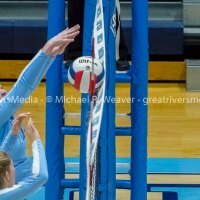 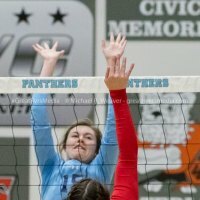 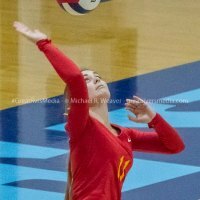 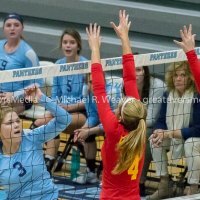 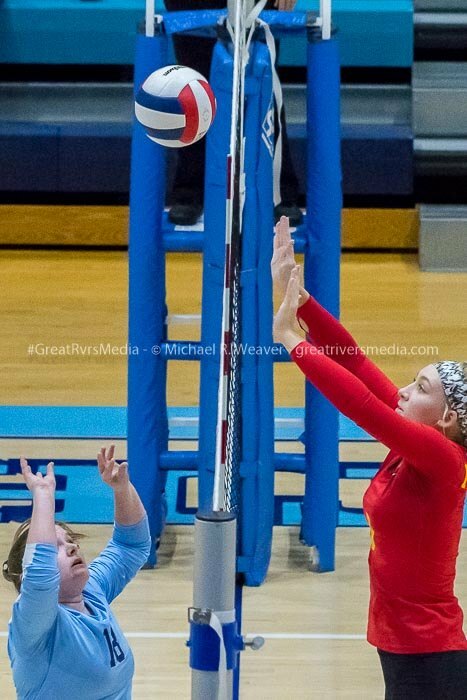 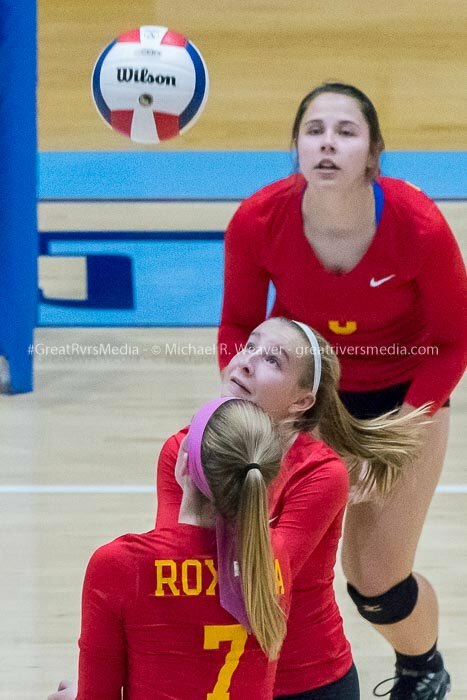 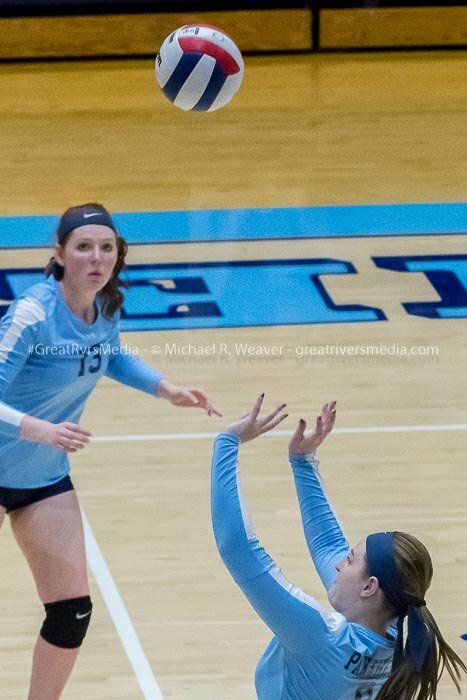 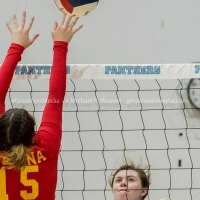 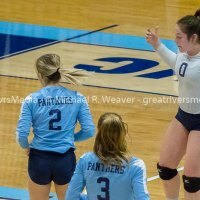 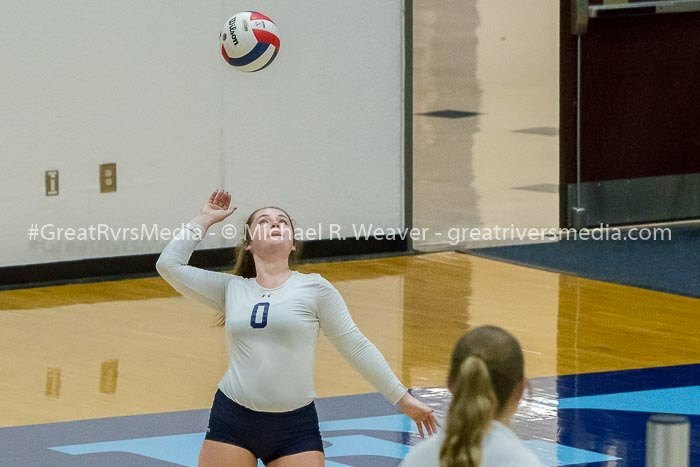 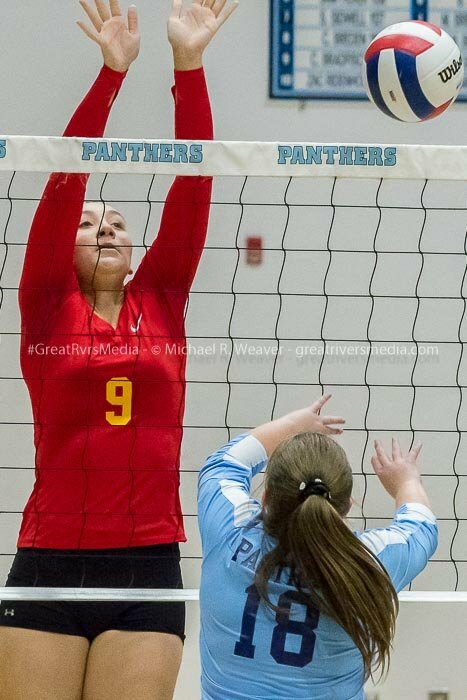 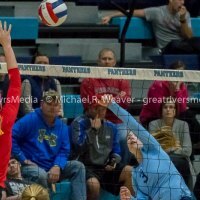 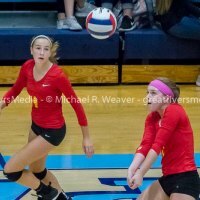 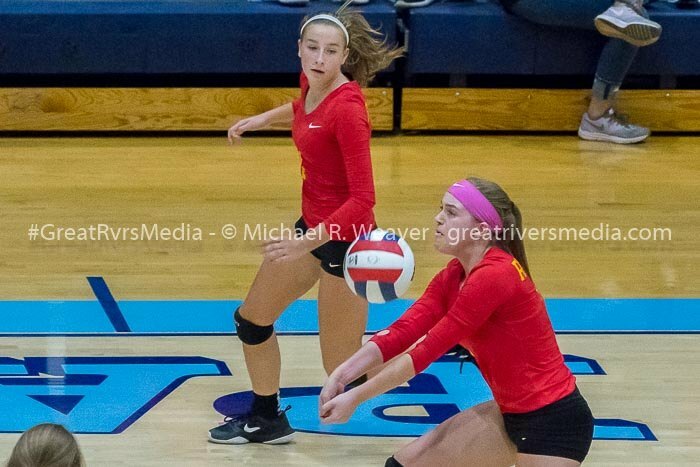 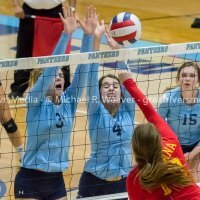 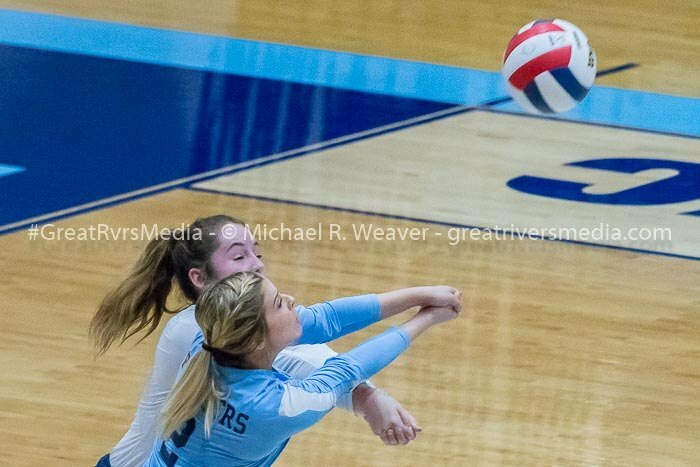 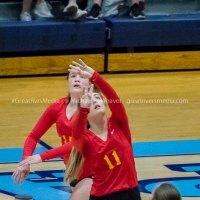 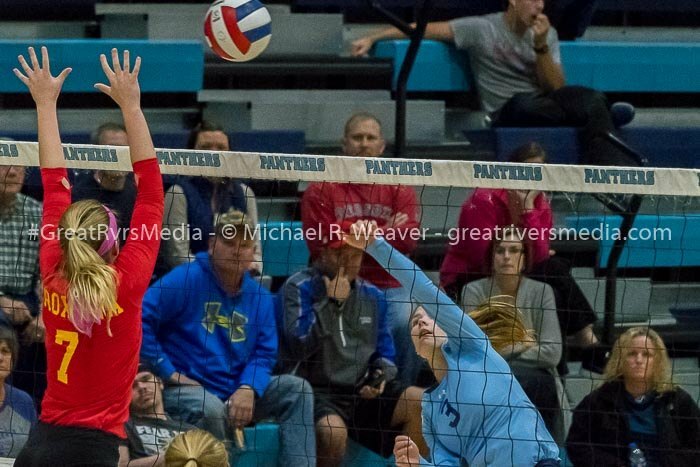 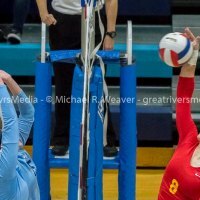 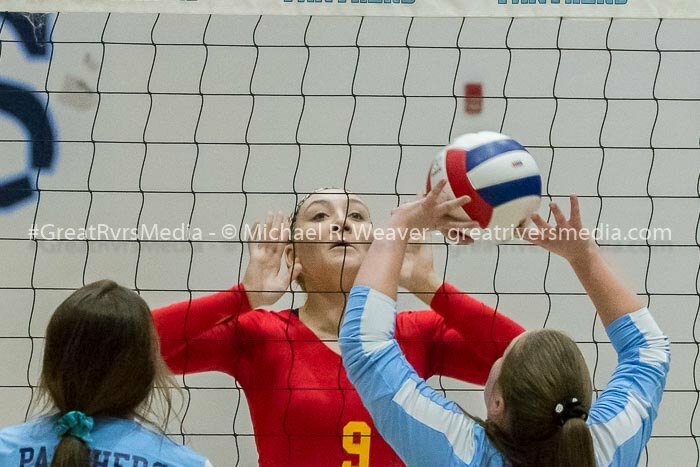 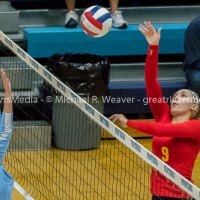 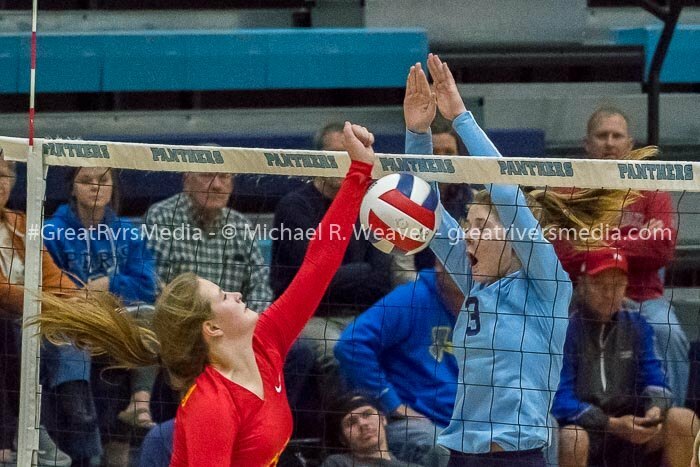 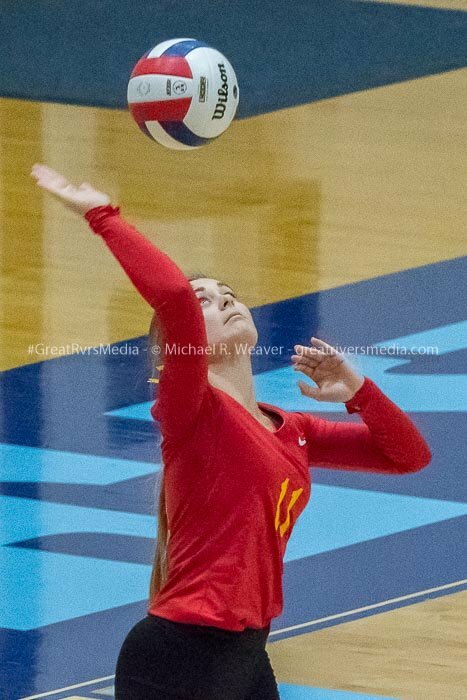 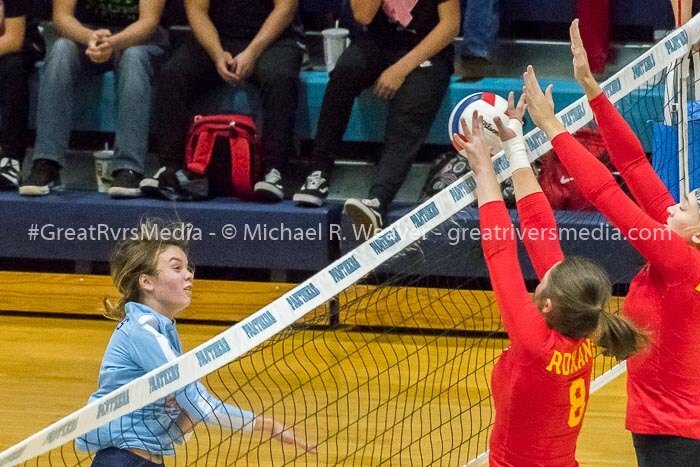 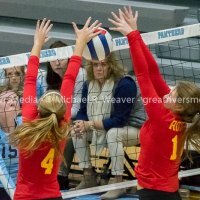 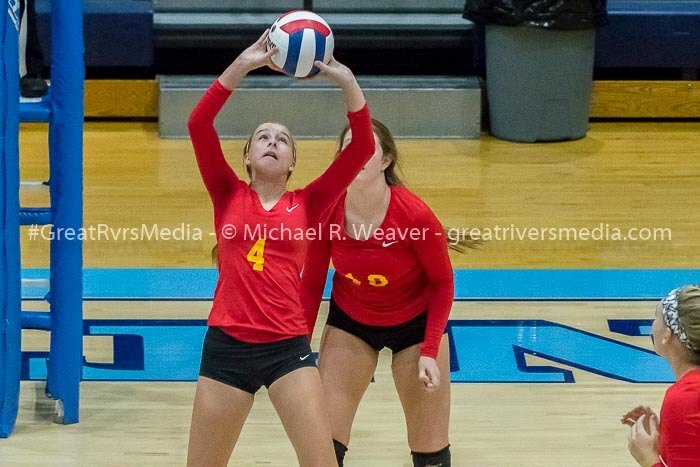 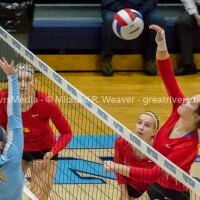 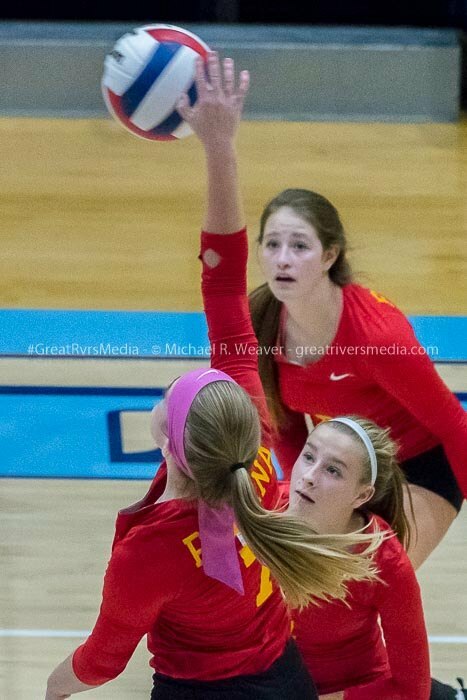 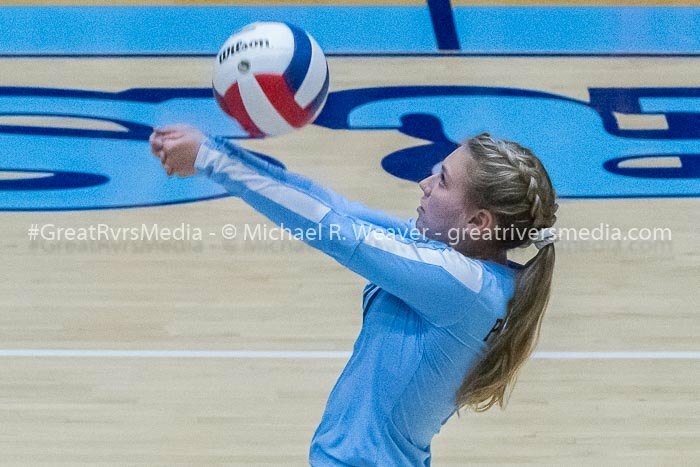 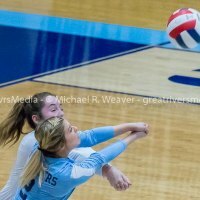 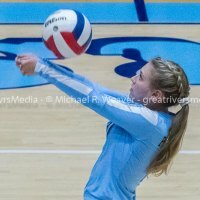 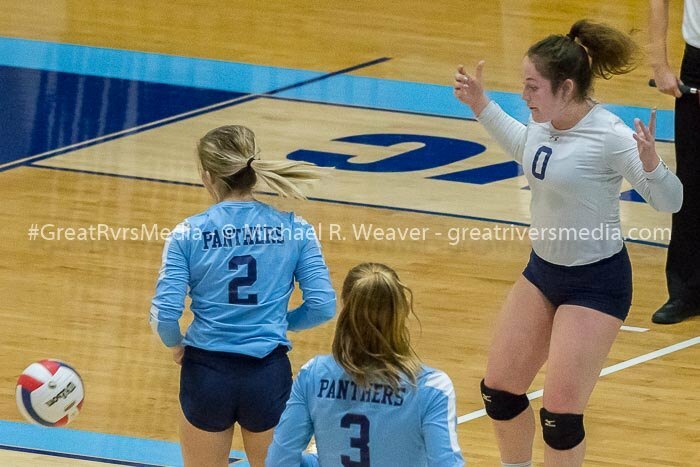 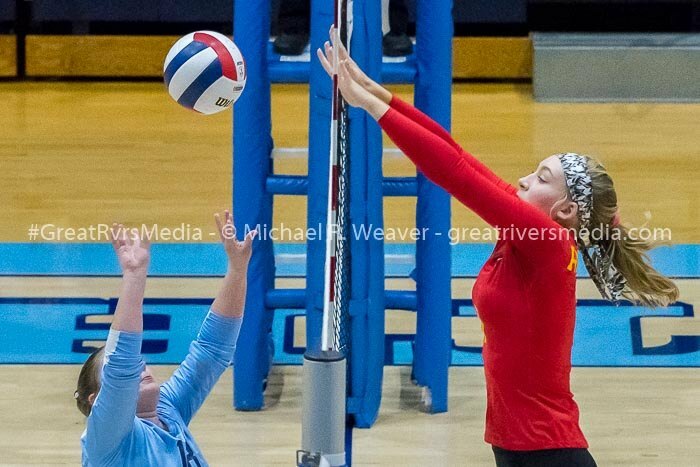 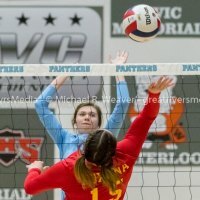 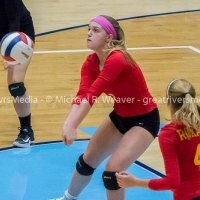 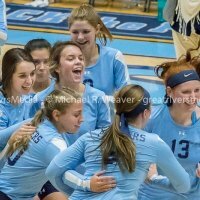 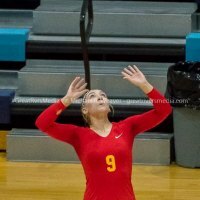 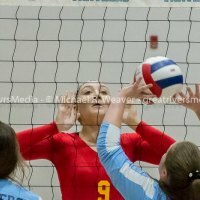 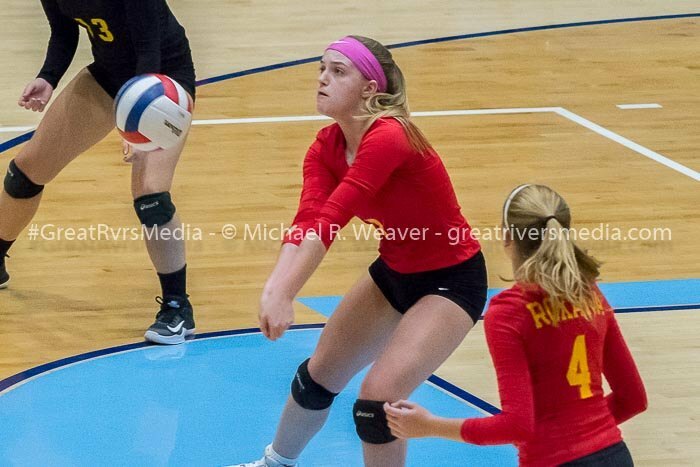 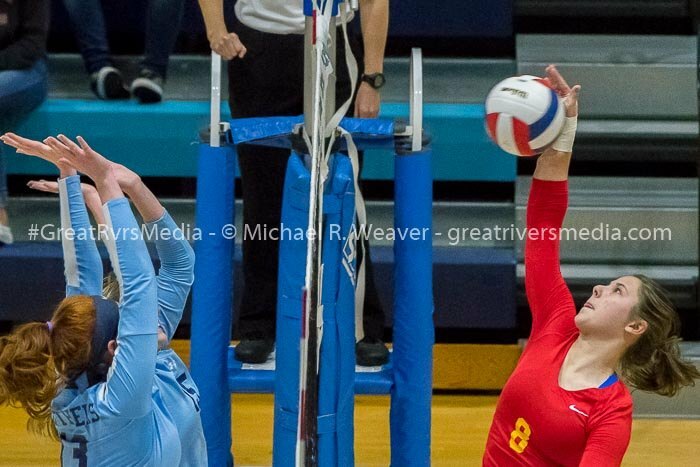 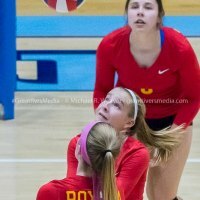 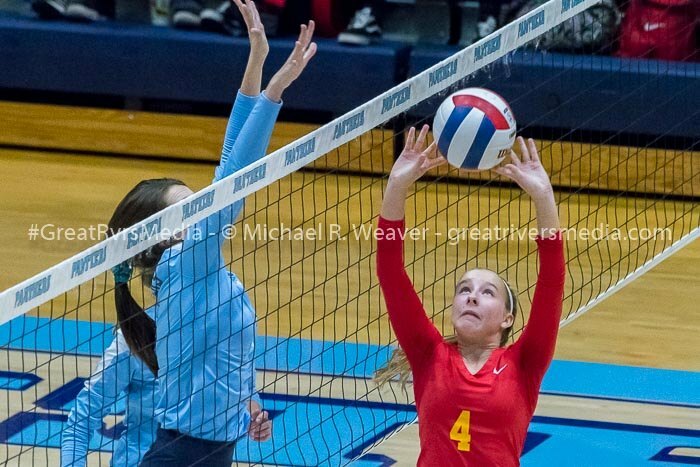 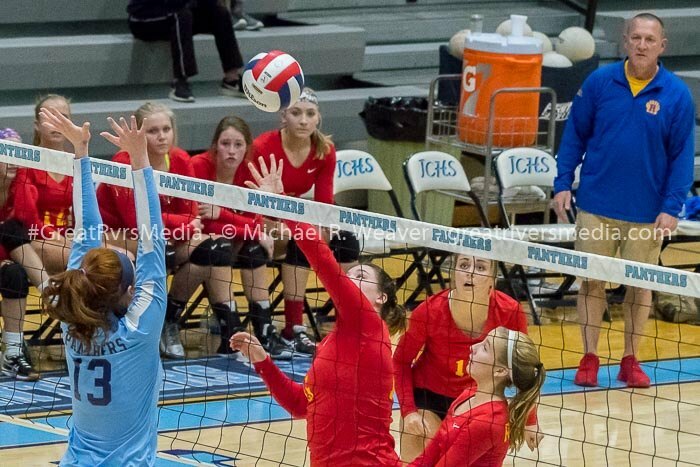 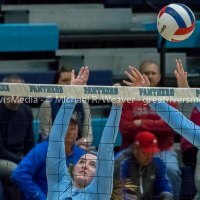 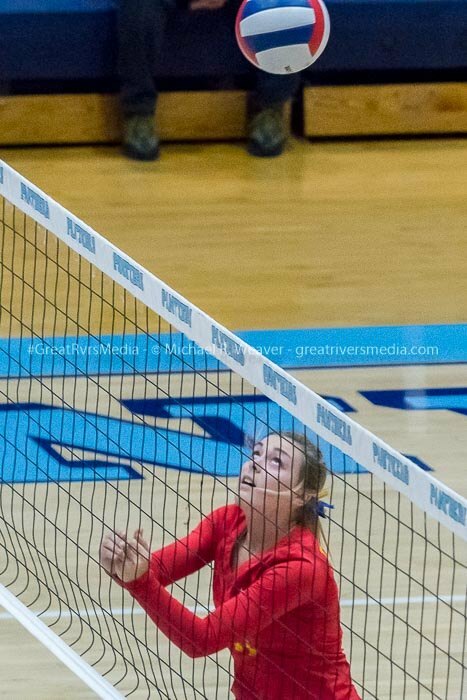 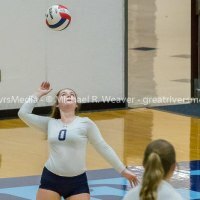 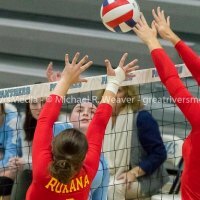 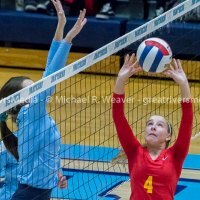 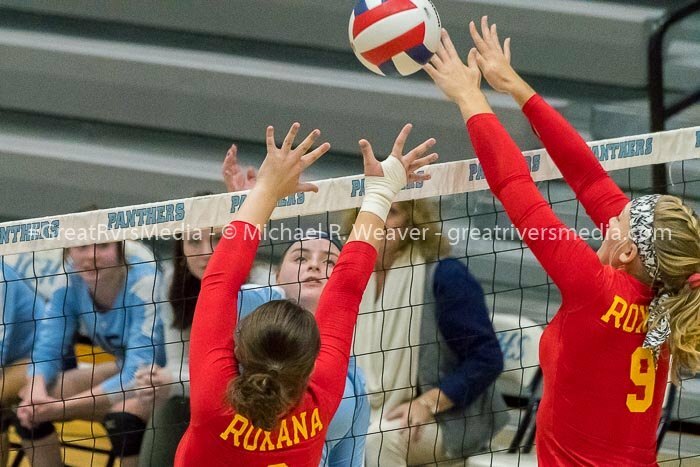 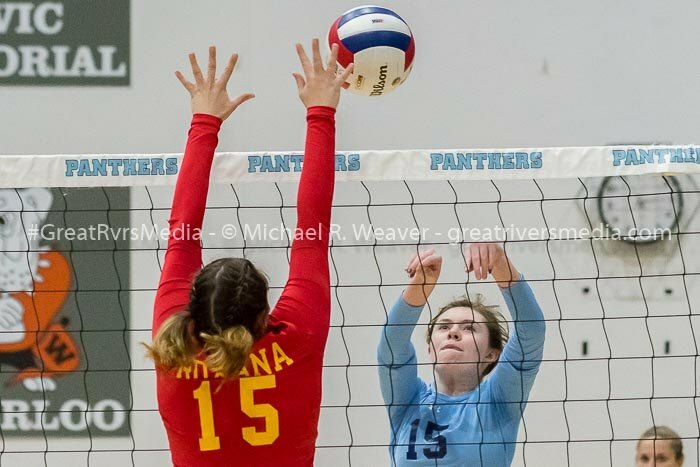 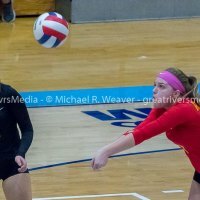 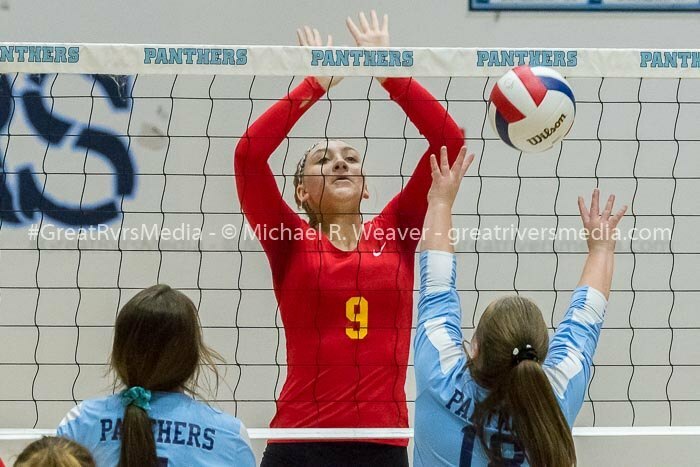 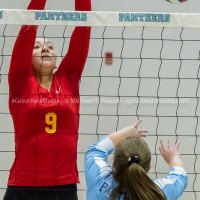 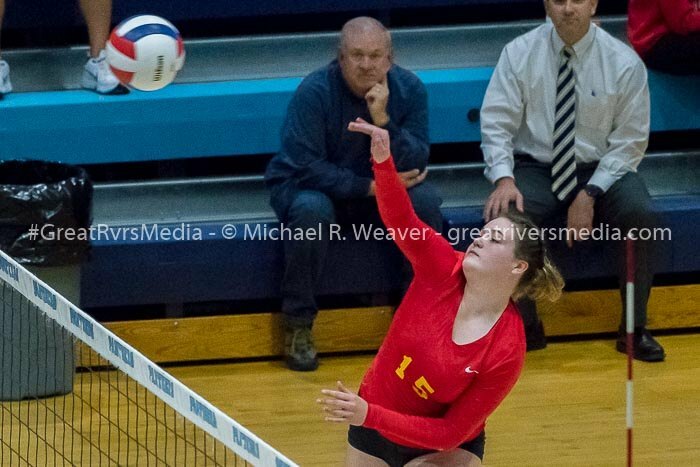 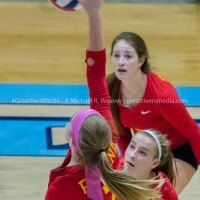 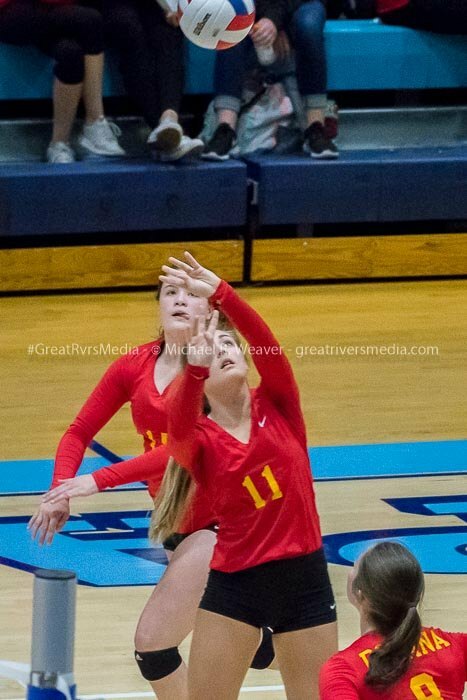 JERSEYVILLE - Tuesday night’s Jersey IHSA Class 3A Regional Volleyball semifinal match featured two outstanding teams - the host Panthers and Roxana’s Shells. 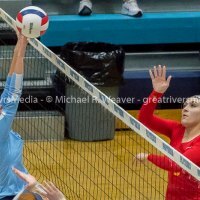 In the end, it was a highly competitive match with Jersey prevailing 25-19, 25-23. 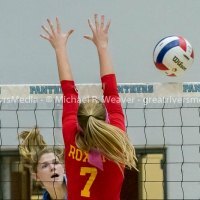 The win improves Jersey to 16-12 and Roxana finishes the year 26-9. 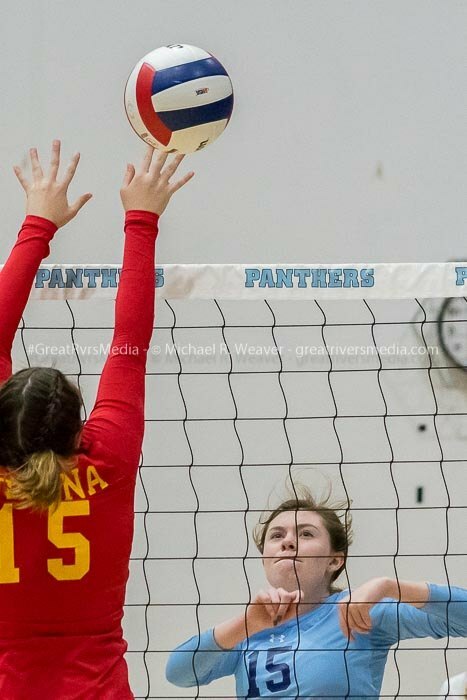 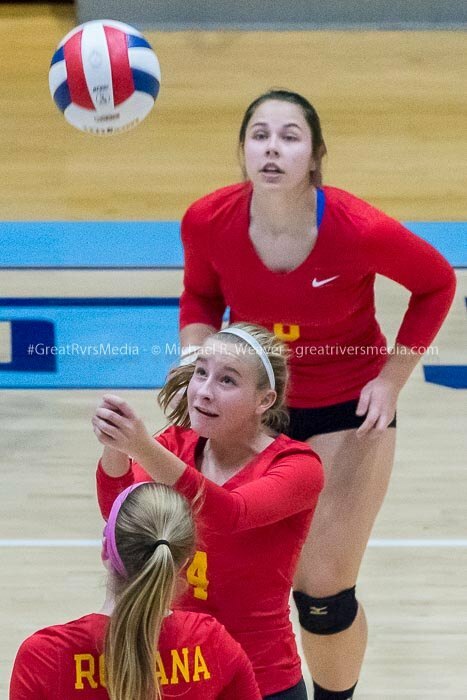 Jersey’s head volleyball coach Justin Wilhite and assistant coach Sue Long couldn’t have been happier with the way their girls executed their game plan Tuesday night against the Shells. 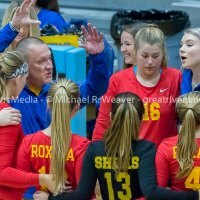 Roxana head girls volleyball coach Mike McKinney said his team didn’t play as well as they have been and he felt the Shells didn’t have a lot of official calls that went their way. 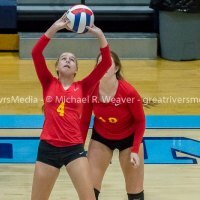 Four seniors - Abby Kurth, Taylor Jackson, Abi Stalhut and Lindsey Cameron concluded their Shells’ volleyball careers Tuesday. 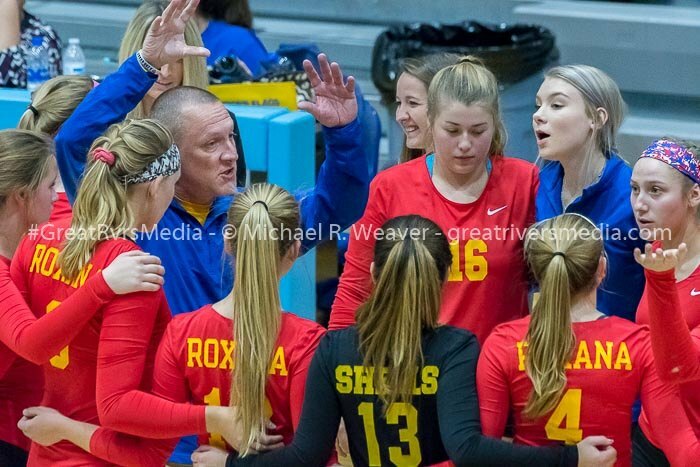 McKinney said it was a remarkable overall season for his team, with the girls winning 22 of their last 26 matches. 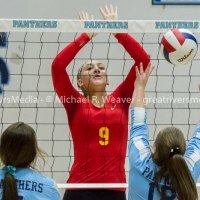 The 26 overall wins is the most ever for the Shells. 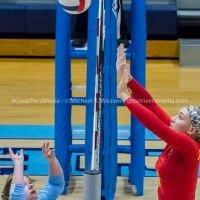 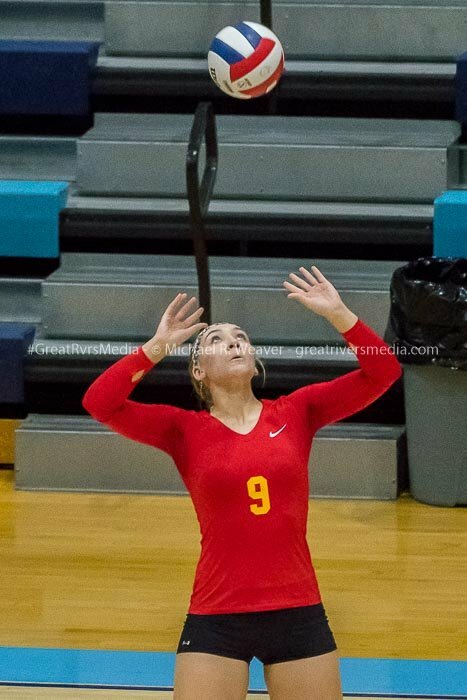 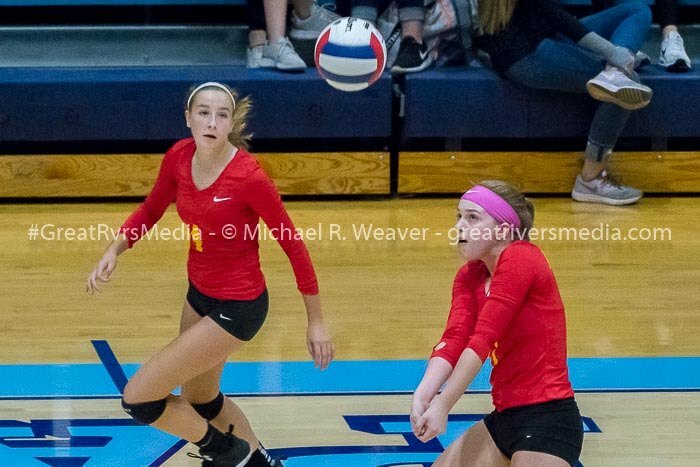 Highland defeated Civic Memorial 25-8, 25-11 Tuesday night at Jersey and will meet Jersey in the championship match Thursday evening.